Borussia Dortmund starlet Christian Pulisic is one of five Bundesliga players named in Jürgen Klinsmann’s USMNT squad for the upcoming Copa America Centenario. 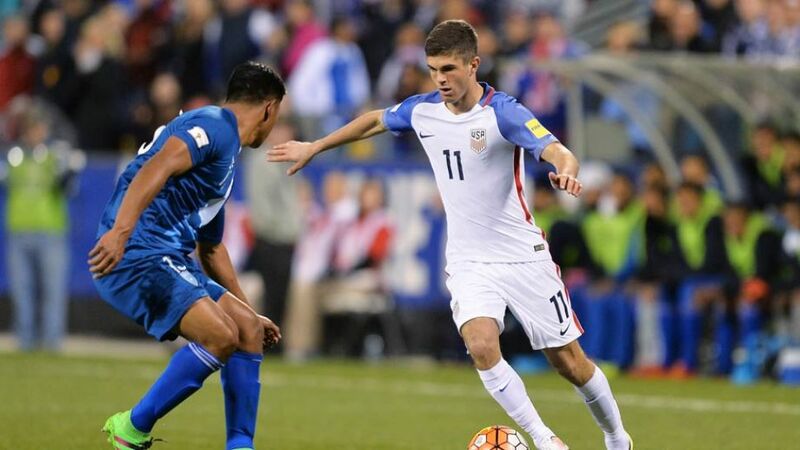 Pulisic, 17, joins John Anthony Brooks (1. FC Union Berlin), Bobby Wood (Hamburger SV), Timothy Chandler (Eintracht Frankfurt) and Fabian Johnson (Borussia Mönchengladbach) in the German’s 23-man selection for the tournament, which kicks off in California on 3 June when the US host Colombia. Pennsylvania-born Pulisic was handed his maiden Bundesliga start at Bayer 04 Leverkusen on 21 February and scored his first league goal in a 3-0 victory against HSV in mid-April. A further strike in a 3-0 win at VfB Stuttgart made him the youngest player ever with two Bundesliga goals. After taking on Colombia, the US face Costa Rica in Chicago on 7 June before playing Paraguay in Philadelphia four days later.